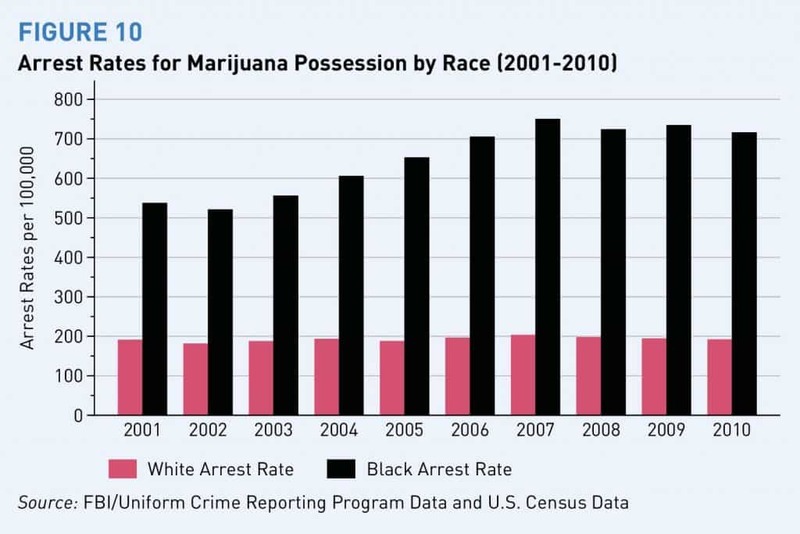 Way back in June 2013, the ACLU did an amazing study of the racial disparity in marijuana arrests between black & white communities in America. It’s not just New York City that takes a wildly imbalanced approach to marijuana and drug policing, as the report shows. On Page 43 of the report, it shows that Cook County, Illinois has the largest percentage of Blacks arrested for marijuana possession at nearly 73%. Even if you don’t read the report fully, it is worth a scan over, and a look at the charts.